MEXICO CITY, MEXICO --A view of the front of the Metropolitan Cathedral from Madero Street which runs along the northern side of the Zocalo in the historic quarter of Mexico City. 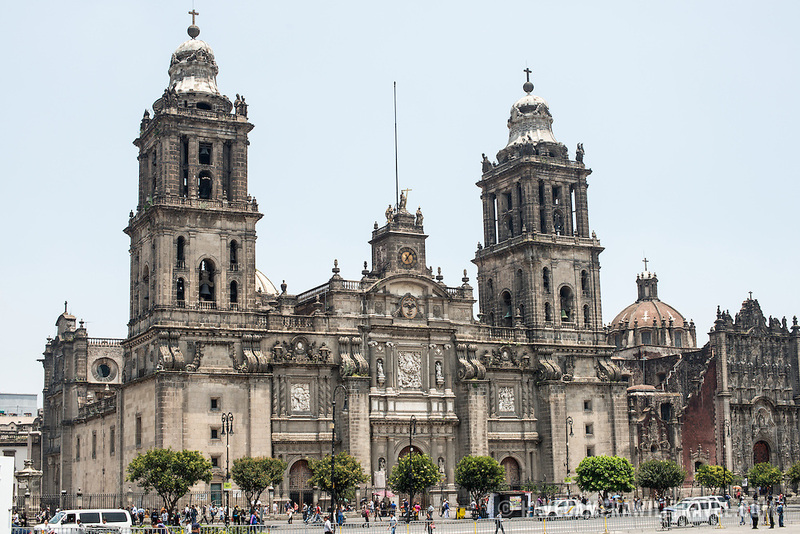 Built in stages from 1573 to 1813, the Mexico City Metropolitan Cathedral is the largest Roman Catholic cathedral in the Americas. It sits in the heart of the historic quarter of Mexico City along one side of the the Zocalo.